Executive Directors Mirko Heide and Sebastian Schirl did attend the Unternehmertag. "The Unternehmertag at Tegernsee is a truly unique event in Germany. I cannot think of another occasion that combines this level of first-class participants with the discussion of disruptive digital trends." THE SPECIAL EVENT HAS TAKEN PLACE for more than 10 years. Mountain Partners and especially its founder Dr. Cornelius Boersch have initiated this 2-day event in 2007. Since then, the Unternehmertag has become one of the most in demand events in German-speaking Europe. Visitors include selected CEOs and Business Angels as well as personalities from business, politics and entertainment. The exclusive Resort am Tegernsee serves as the venue. 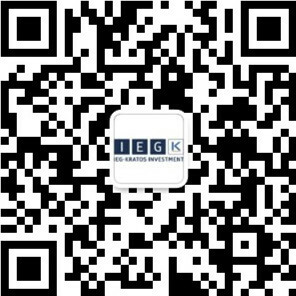 IEG - Investment Banking Group has acted as Supporting Partner for the last couple of years and did so as well this year. IEG - Executive Directors Mirko Heide and Sebastian Schirl attended the event and were on location. They both enjoyed lively exchanges, interesting discussions and two eventful days. This year, former German Chancellor Gerhard Schröder, US Ambassador and US President Trump's Advisor Richard Grenell, Philipp Rösler, Former Vice Chancellor, Julian Teicke, founder and CEO of wefox as well as Jochen Zeitz, former CEO of Puma were scheduled as speakers for this year's event which was held under the motto "Too good to last - Have we reached the peak of prosperity?". For further information about the event refer here: Unternehmertag 2019. IEG was a reliable partner which fully supported Deutsche Post during the important project SIMSme. IEG has managed to achieve a win-win situation for all involved parties based on a very efficient process. We are extremely satisfied with the outstanding performance of IEG. It was a pleasure and privilege to work with the smart, and forward-thinking team at IEG. We were not only impressed with their financial and technical knowledge but also with their personal approach and coaching. They quickly felt like a part of the team, and the trusted party you want to have on your side in a deal like this.